The PRCF said that the increase of the minimum wage will not cost a penny to the employers while the State, meaning the taxpayers and the public services already largely boned will pay. The suppression of security dues on certain wages was 'a poisoned gift' because ultimately it means new disbursements of care and an increased crisis for public hospitals. The same goes for the payment of small and medium pensioners if, in parallel with the return to the indirect tax, the ISF (Solidary Tax on Wealth) is not reconstituted together with the introduction of 'a progressive income tax striking much more strongly towards the richest'. According to the statement of th PRCF, promises to fight against tax fraud are likely to have 'a pure announcement effect'. The tax exemption of overtime, on the other hand, is as a measure of the future because it tends to use current employees without creating necessary jobs, especially in public services. The end-of-year bonus of the companies is left to 'the good heart of each boss while the "labor law" has weakened the union representation'. 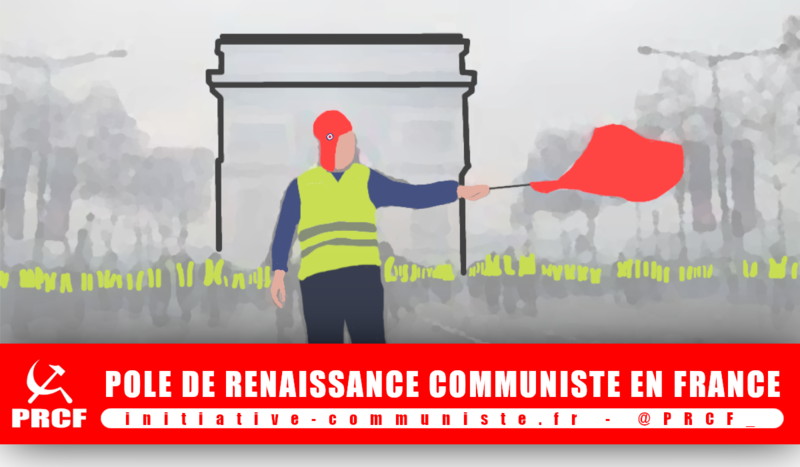 The PRCF also asserted that the structural measures announced by Macron show his will 'to exploit the yellow vests movement to precipitate the march to Euro-disintegration of France'. This means that the announcement of serious counter-reforms "on the move" on pensions , on the statutes of the civil service, on public services, on unemployment benefits will be accelerated. The very way of discussing future reforms is 'hyper-dangerous because it aims to bypass and to remove the central state and to proceed territories by dividing the movement and especially, by breaking the social unity and the unity of the country .... while never touching the capitalist exploitation that has been worsening for forty years of Atlantic European integration'.